The only difference between mold and mildew is the color. Mildew is white while the mold comes in a variety of colors from blue, red, black and green. Both of them are fungus and spread through release of the spores. Mold is the number one problem in every home. Our houses are getting energy certificates, and that just means that the air inside the house is hardly getting out because the whole house is perfectly sealed to keep the hot air inside. Because of that moisture is not released from the house and eventually, mold or mildew will appear. Once mold appears in your home, you will have a hard time fighting it. Mold release mold spores and mold will just grow and spread all over the house. But there are some things you can do to prevent mold appearing in your home. You should make sure your windows are regularly opened. Air just needs to be taken out. In-house air is wet and probably already has mold spores that are looking to grow in your home. By opening windows, air flow will make sure the wet stinky air in your room is taken out, and the new fresh air is coming in. This is one of the simplest things you can do to fight mold or mildew. You should dry all wet in your home. Wet is the number one factor for mold and mildew to grow. If you remove wet areas, there is a high chance mold will not grow. Bathroom and kitchen are two rooms in which wet conditions may help mold to grow. You should keep both of those rooms clean and dry. But mold can come from your damp cellar too. In the basement, you need to make sure moisture is removed from the air. For that, you can use a dehumidifier. Dehumidifiers are great devices for wet cellars. Keep an eye on your bedroom. Bedroom can get wet too if the windows are not open regularly. The first thing you should do when you wake up is to open windows and let the moisture get out. Believe me when I say that moisture is accumulated through breathing during the time we sleep. 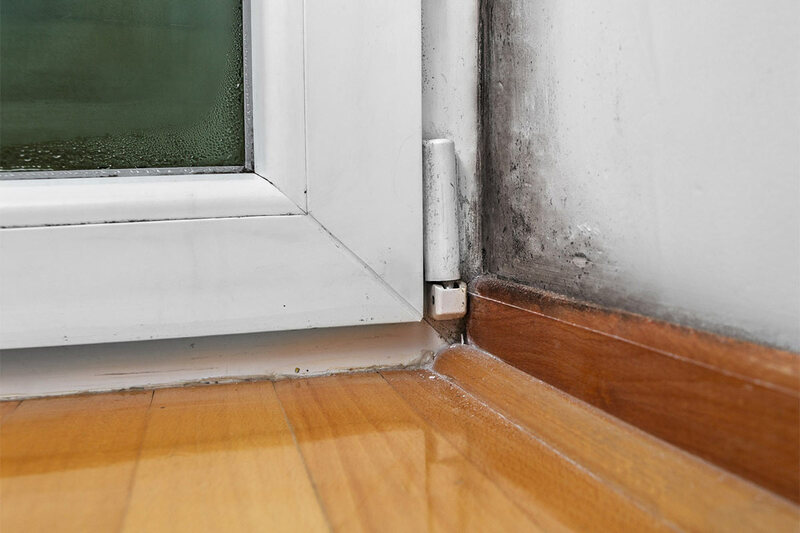 If we don’t release that warm wet air from our bedroom at morning, the mold may grow in our bedroom, and that can be a huge problem for our sleep and health overall. Rooms like kitchen or bedroom may need help from ventilation. With ventilation moisture is removed instantly. With removing moisture from the air, there will be no wet areas in our home and mold will not be able to grow. Ventilation systems will make sure there is a proper air flow through the whole house. With an air purifier, you can kill mold by removing mold spores from the air. This means that even if mold is already in your house, you can destroy it by using an air purifier that will make sure no mold spores are spread. Without mold spores, the original mold will eventually die. Having an air purifier in the room will also make sure the mold is not grown by capturing first released mold spores. In winter time it is a problem to open windows because the air outside is just too cold. But if you have humidity monitor you can open windows only when it is needed, and only as long the humidity level doesn’t drop. Humidity monitors are not expensive and can really help you fight the mold without having to cool down your whole house during the winter time. Number one factor to fight mold is prevention. You need to prevent moisture from the air. You need to dry and clean wet areas in the house. If the mold already happened then use an air purifier to remove mold spores and prevent mold from spreading to other sectors of the house. Best air purifier for the mold is the one with a true HEPA filter. True HEPA filter somehow guarantees that all mold spores will be caught by the air purifier.